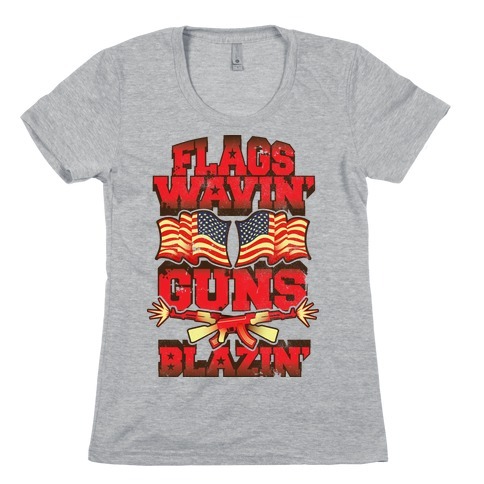 Browse our collection of 96 Flag T-Shirts and more. Designed and printed in the USA. 100% Satisfaction Guaranteed. 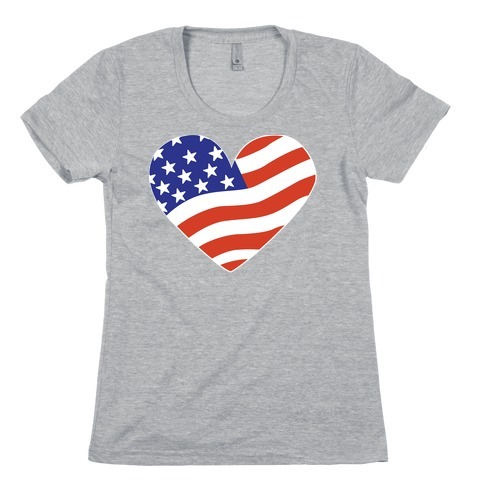 About this Design This fourth of july shirt is perfect for true patriots who love the USA, the american flag, freedom and bald eagles because "sorry I can't hear you over the sound of my freedom." 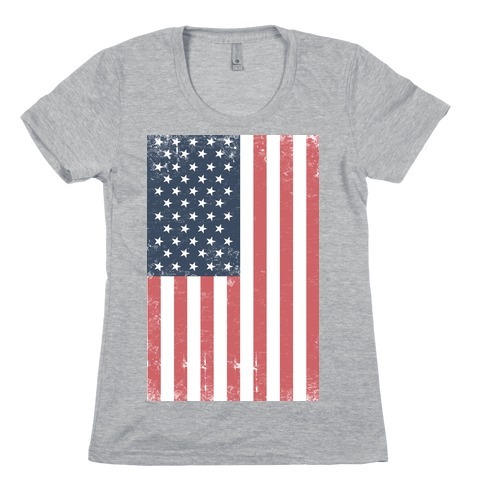 This usa shirt is great for fans of merica , merica , usa and patriotic shirts. 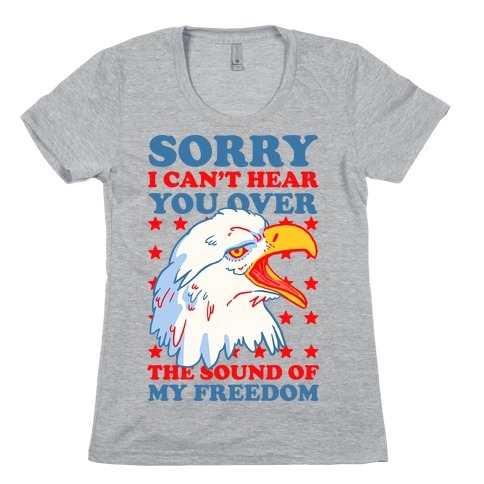 This fourth of july shirt is perfect for true patriots who love the USA, the american flag, freedom and bald eagles because "sorry I can't hear you over the sound of my freedom." 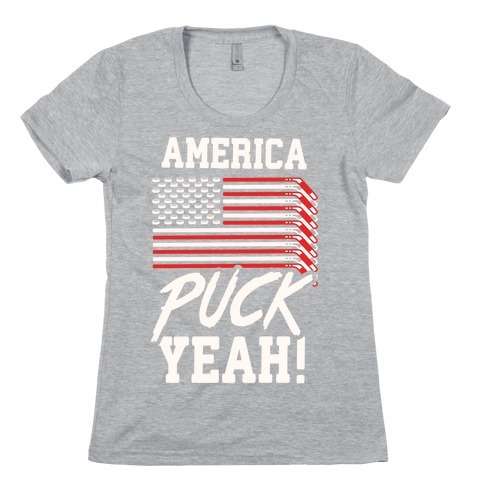 This usa shirt is great for fans of merica , merica , usa and patriotic shirts. About this Design Wave your pirate flag and show your love for moonshine with this shirt! Perfect for a country party with friends or a Kenny Chesney concert! Ideal for drinking with friends or rocking out at a country music concert! If you love getting country drunk, riding horses, drinking beer and doing shots of straight whiskey, and getting wild with your redneck pals out in the sticks, this shirt is for you! 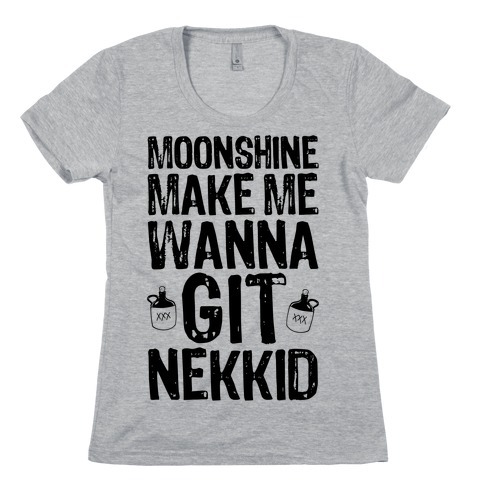 Wave your pirate flag and show your love for moonshine with this shirt! Perfect for a country party with friends or a Kenny Chesney concert! Ideal for drinking with friends or rocking out at a country music concert! If you love getting country drunk, riding horses, drinking beer and doing shots of straight whiskey, and getting wild with your redneck pals out in the sticks, this shirt is for you! About this Design In Weed we trust and serve! 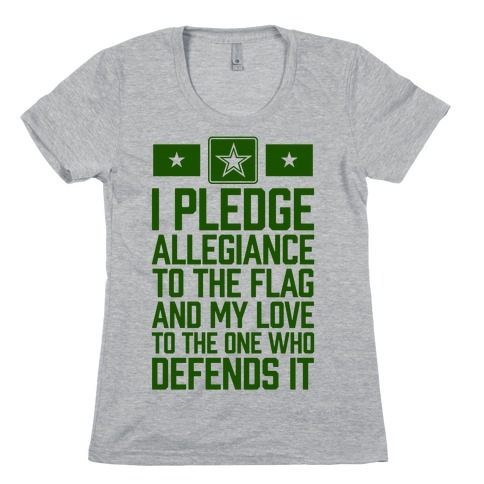 Share your love and support of the green leaf with this awesome, in weed we trust flag design! In Weed we trust and serve! 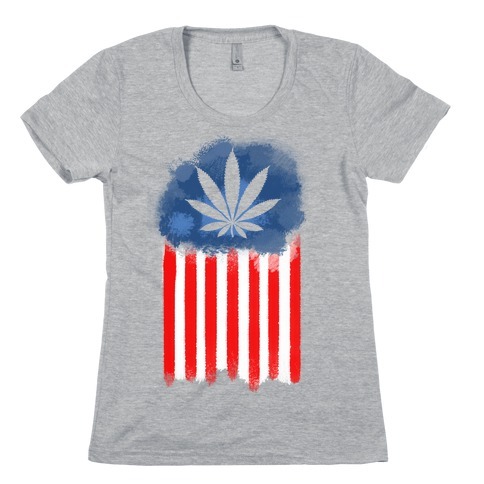 Share your love and support of the green leaf with this awesome, in weed we trust flag design! About this Design It is time to get red, white & wasted! Set up the beer pong table, pop open an ice cold beer and get the party started. You know, for America! Show off your pride for America and every college's favorite pastime, beer pong! It is time to get red, white & wasted! Set up the beer pong table, pop open an ice cold beer and get the party started. You know, for America! 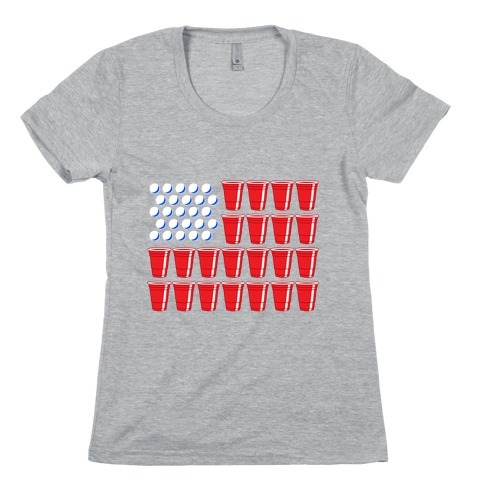 Show off your pride for America and every college's favorite pastime, beer pong! About this Design Having a significant other in the armed forces is no easy task. Just remember that distance is temporary, but love is everlasting. Whether your special someone is in the Army, Navy, Marines, or the Air Force, grab this military tank and keep it close to your heart. Stay strong- it's just another day down. Having a significant other in the armed forces is no easy task. Just remember that distance is temporary, but love is everlasting. Whether your special someone is in the Army, Navy, Marines, or the Air Force, grab this military tank and keep it close to your heart. Stay strong- it's just another day down. About this Design God bless the red, white and bacon! 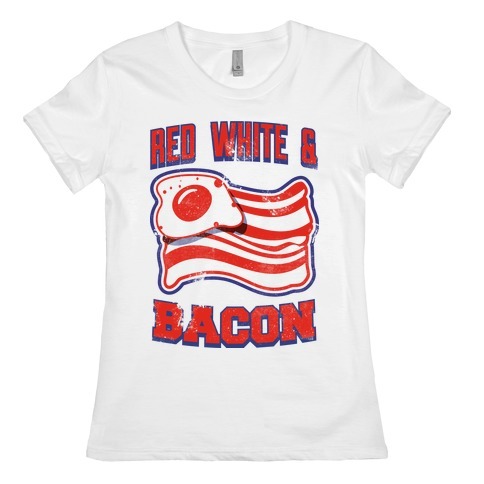 God bless the red, white and bacon! About this Design This patriotic shirt is ready for the fireworks, backyard bbq, American flags, and the red, white and blue of the fourth of july, because "either you love america or you're wrong." 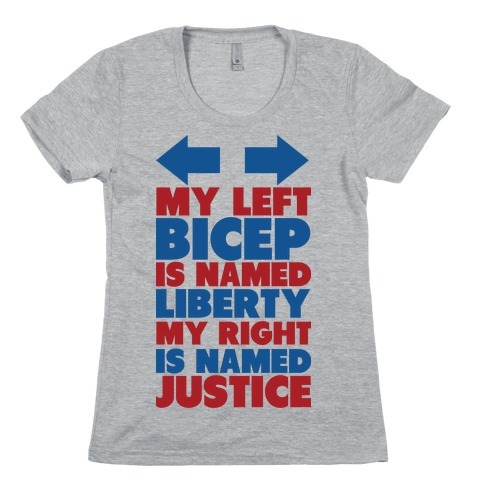 This 4th of july shirt is perfect for those who love american, merica, the usa, patriotism, beer, brats and freedom. 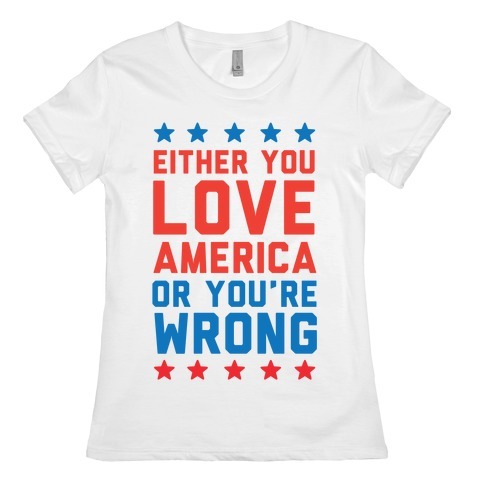 This patriotic shirt is ready for the fireworks, backyard bbq, American flags, and the red, white and blue of the fourth of july, because "either you love america or you're wrong." This 4th of july shirt is perfect for those who love american, merica, the usa, patriotism, beer, brats and freedom. About this Design This patriotic shirt features the American flag and the words "I piss freedom" and is perfect for people who love patriotic shirts, 4th of July, independence day, freedom, America, the USA, and is ideal for showing your patriotic American pride while getting star spangled hammered at a fourth of July barbecue or just hanging out with friends! 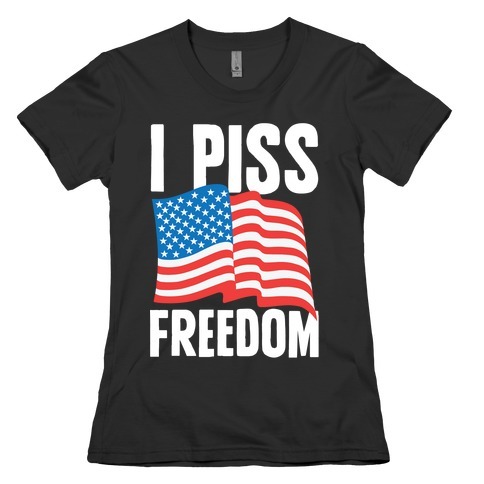 This patriotic shirt features the American flag and the words "I piss freedom" and is perfect for people who love patriotic shirts, 4th of July, independence day, freedom, America, the USA, and is ideal for showing your patriotic American pride while getting star spangled hammered at a fourth of July barbecue or just hanging out with friends! About this Design America's got gay pride! 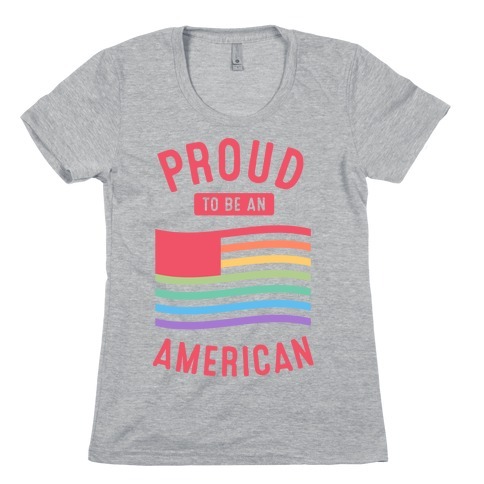 This proud gay pride america shirt features the US flag in rainbow colors to celebrate the advent of marriage equality in the US! 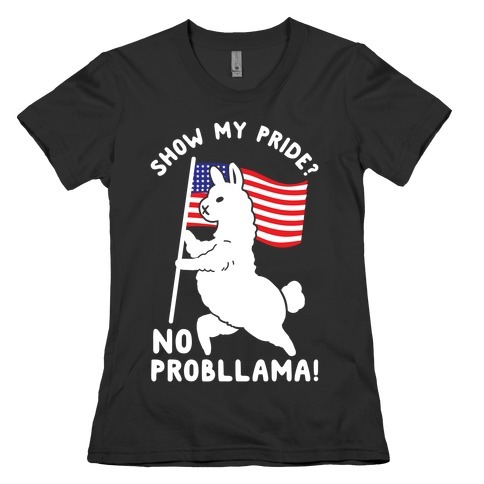 This rainbow pride shirt is perfect for Allies and LGBTQ Community members celebrating a great move made by our country and Independence day as well! Liberty, Justice, and Freedom for all! America's got gay pride! 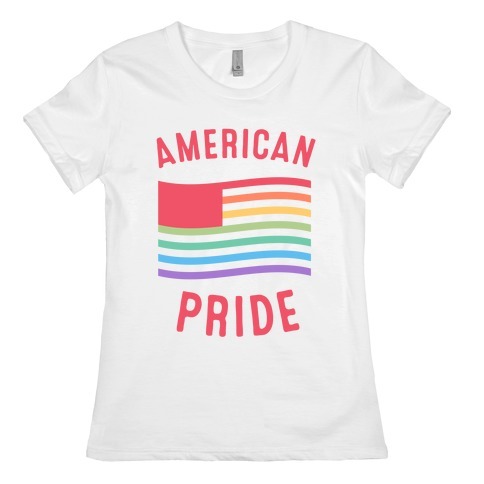 This proud gay pride america shirt features the US flag in rainbow colors to celebrate the advent of marriage equality in the US! 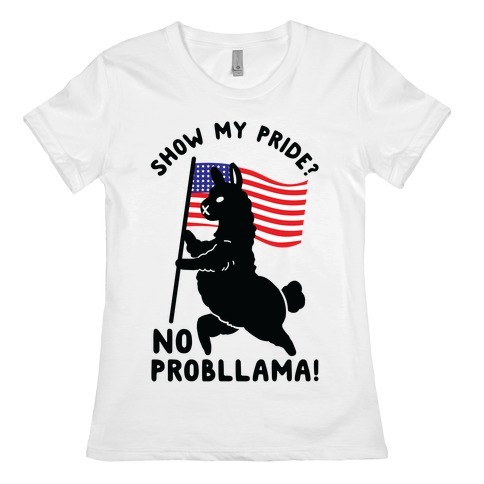 This rainbow pride shirt is perfect for Allies and LGBTQ Community members celebrating a great move made by our country and Independence day as well! Liberty, Justice, and Freedom for all! About this Design This proud gay pride america shirt features the US flag in rainbow colors to celebrate the advent of marriage equality in the US! This rainbow pride shirt is perfect for Allies and LGBTQ Community members celebrating a great move made by our country. Yaaasss SCOTUS! 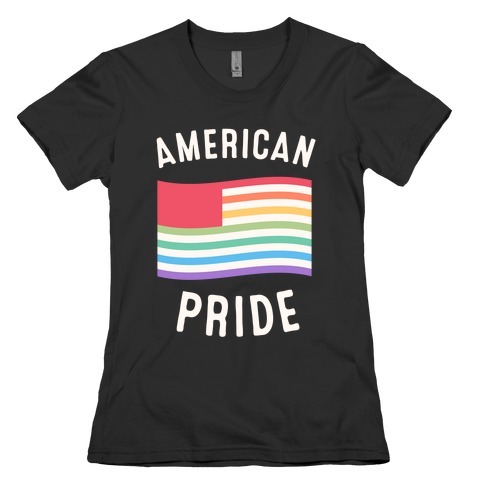 This proud gay pride america shirt features the US flag in rainbow colors to celebrate the advent of marriage equality in the US! This rainbow pride shirt is perfect for Allies and LGBTQ Community members celebrating a great move made by our country. Yaaasss SCOTUS!